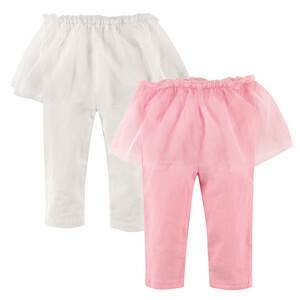 Hudson baby Tutu Leggings are such a fun addition to any plain or fashionable bodysuit or top! These leggings are a super soft 92% Cotton, 8% Spandex blend that move and groove with your little princess. Tutu is made from a lightweight tulle fabric so it can flow, twirl and bounce with your little girl. These pants have an elastic waist for easy dressing. Fashionable and trendy tutus are so much fun for your baby girl, she'll just love it! 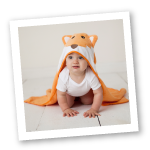 These are perfect for birthdays, special occassions and photo shoots! Also don't miss out on putting these on your registry!